If you’d rather store your Office documents in Dropbox instead of OneDrive, that’s now totally fine by Microsoft. 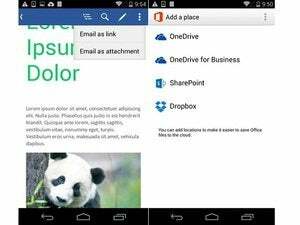 When using Office’s mobile apps or Website, Dropbox will soon appear as an optional storage location alongside Microsoft’s own OneDrive service, and users will be able to generate Dropbox sharing links from within the Office app. 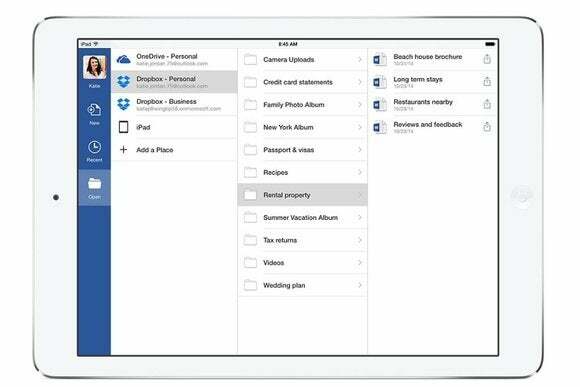 Dropbox’s own apps will also link back to Office, letting users edit documents and save any changes to the cloud. The new functionality will head to iOS and Android in the new few weeks, and to the Web in the first half of 2015. Microsoft’s press release says Dropbox will make its apps available on Windows phones and tablets. Note that unofficial, knockoff Dropbox apps already exist, though most are of middling quality. Dropbox will become a new save location in Office’s mobile apps, alongside OneDrive and local storage. The announcement doesn’t say anything about integrating Dropbox with Office’s desktop version, which could be for a couple of reasons. For one thing, Microsoft hasn’t been talking much about Office 16, and it may not even ship until the end of next year. Besides, it’s already possible to add Dropbox as a storage location with a some minor tweaking. Why this matters: The partnership is unexpected given that Microsoft has its own competing cloud storage service. But as Microsoft points out , more than 35 billion Office files are stored in Dropbox already. The goal, both companies say, is to make these files easier to access and edit. 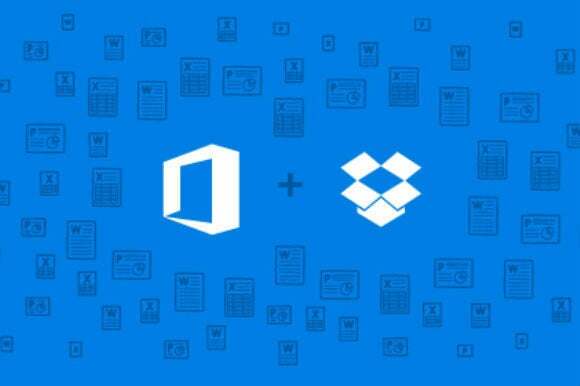 And given that Dropbox for Business users will need Office 365 to take advantage of the new features, the partnership will surely help prop up Microsoft’s subscription business—even without OneDrive. Microsoft’s newfound friendliness toward Dropbox may also be a competitive move, as some observers have pointed out. Earlier this year, Box introduced a way to turn Office documents into Web-embeddable HTML5, pulling away from alongside its prior strategy of trying to integrate with Office directly. (Update: Box has reached out to clarify that it's still interested in Office integration, and has recently created some new tools for doing so.) By offering a way to view and edit documents in Office proper, Dropbox and Microsoft are both making their respective offerings stronger.